Phoenix, located in Maricopa County, is the largest city in Arizona as well as the state capital. 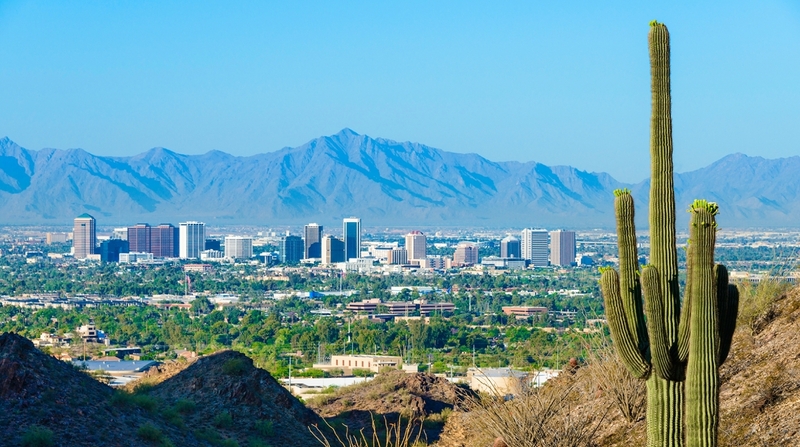 The Phoenix metro area, otherwise known as the "Valley of the Sun," is considered to be "the heart of Arizona and the soul of the American Southwest." Quality of life, breathtaking scenic beauty, year around sunshine, richness in culture and history, major sports, world-class golf, endless popular attractions, 5-star dining, and first-class shopping are just a few of the reasons why so many people choose to move to the Phoenix metro area! Phoenix is surrounded by a number of suburbs, town and cities - some of them quite large. Hence the reason why it's a good idea to work closely with an experienced real estate agent who specializes in Phoenix Metro area real estate, and that can offer you sound guidance and recommendations on where to begin your home search. The Valley of the Sun has a reputation for being a popular retirement destination and offers a variety of options to accommodate the different requirements and lifestyles of its seniors. 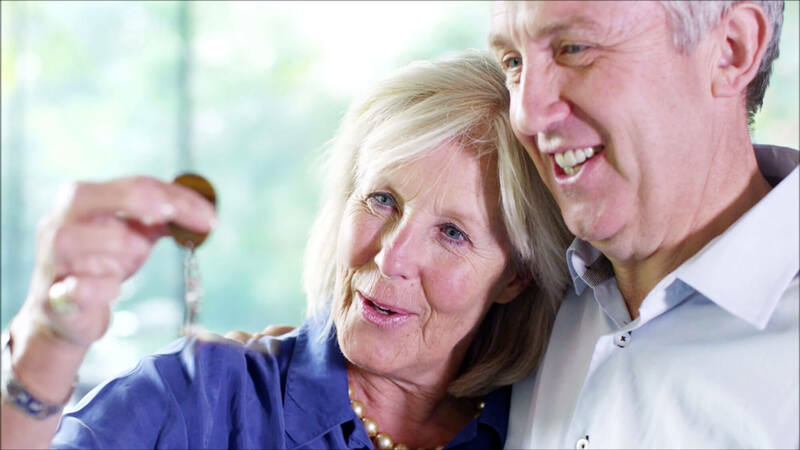 From upscale 55+ active retirement communities, offering residents a choice of social, cultural, travel and sporting opportunities, to full-care facilities, there's a senior living solution to fit every need and lifestyle choice! Next to finding the perfect home, finding the right school happens to be the second biggest consideration for families moving to Arizona. There are actually more than 30 school districts located in the Phoenix area alone. For higher learning options, there are several area colleges and universities to choose from, including: Arizona State University, Thunderbird School of Global Management, Northern Arizona University, and Maricopa Community Colleges - just to name a few! The Phoenix metro area has a total of 56 hospitals and medical centers. According to U.S. News World Report, the following 13 hospitals and medical centers are the highest ranked in the area (by order of ranking): the Mayo Clinic, Scottsdale Healthcare, Shea Medical Center, St. Josephs Hospital and Medical Center, Banner Good Samaritan Medical Center, Chandler Regional Medical Center, Banner Estrella Medical Center, Banner Thunderbird Medical Center, John C. Lincoln North Mountain Hospital, Mercy Gilbert Medical Center, Banner Gateway Medical Center, Banner Desert Medical Center, Banner Heart Hospital, and Osborn Medical Center. My name is Rochelle Navarro and I'm a real estate agent and relocation expert who specializes in helping people like yourself find homes for sale in the Phoenix metro area. 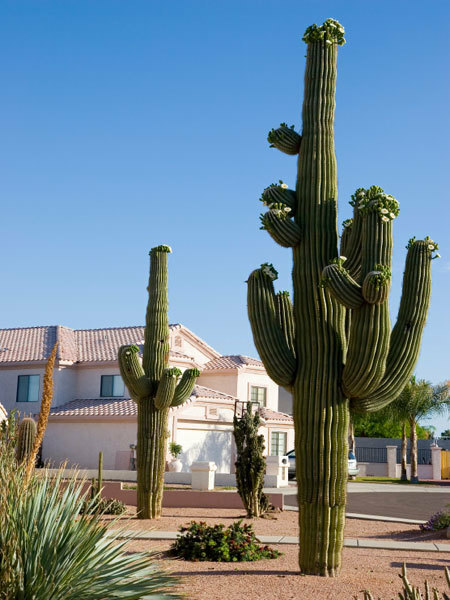 Over the years, I've helped many of my clients with the process of moving to Arizona. I'm very familiar with local neighborhoods and communities; housing options, local amenities and lifestyle; 55+ active adult retirement communities; HOA costs and property taxes; local schools, and more! Whether you're interested in Phoenix metro area single-family homes, golf homes, pool homes, 55+ retirement community homes, gated community homes, townhomes or condominiums, I will help you find the perfect home for you! Once we've discussed your preferences and needs, I will then begin locating Phoenix metro area homes for sale in neighborhoods and communities that could potentially be a right fit for you and your family. As a relocation specialist, I'm aware that moving to Arizona from another state or beyond can be an exciting adventure and significant lifestyle change. It can also, however, be quite daunting, especially if you're unfamiliar with the lay of the land. That is why I take the privilege of serving as your guide, mentor and resource for all things Arizona real estate very seriously. My foremost goal is to make sure that your move to the "Valley of the Sun" is a seamless, stress-free and enjoyable experience from start to finish. You can rest assured that I have your best interests at heart and will be by your side every step of the way! I help buyers find their ideal home in the following communities, but not limited to: North/Northwest Phoenix, Anthem, Glendale, Peoria, Sun City, Sun City West and Surprise, Arizona. North/Northwest Phoenix - The city of Phoenix offers a vast array of housing and lifestyle options to choose from. And while there're many neighborhoods featuring stucco homes with tile roofs in Phoenix, there are also historical houses with mature trees, homes from the post-World War II boom years, homes in desert areas, luxurious upscale homes, and plenty of homes for sale with swimming pools. Learn more about North/Northwest Phoenix homes for sale & lifestyle! Anthem - This Del Webb master planned community is situated next to the town of New River, Arizona. Recently named one of Parenting magazine’s “Best Places to Raise a Family,” new construction homes in a variety of architectural styles as well as modern condos are available in this Phoenix suburb. Learn more about Anthem AZ homes for sale & lifestyle! Glendale - The fourth largest city in Arizona, located in the northwestern Phoenix Metro area, Glendale prides itself on services and amenities that surpass those offered by other Valley cities. Known as “Arizona’s Antique Capital,” Glendale is also known for its affordable housing and diverse living options. Learn more about Glendale AZ homes for sale & lifestyle! Peoria - Located in the northwest part of the Phoenix metro area, Peoria offers everything that a resident is looking for in a great community, including a variety of housing options; excellent schools; outdoor and indoor recreation; amenities of a major metropolitan area; convenient travel corridors; and more than 300 days of magnificent sunshine! Housing options in Peoria range from affordable neighborhoods to master-planned communities. Learn more about Peoria AZ homes for sale & lifestyle! Sun City - A master-planned 55+ active retirement community built by the Del Webb, Sun City offers a variety of shopping, dining and services as well as 11 golf courses and 7 recreation centers, 120 clubs and two bowling centers. Not to mention, the entire Valley of the Sun is at your doorstep. Homes in Sun City range anywhere from 730 square feet on up to 3,200 square feet. Home options include: garden homes, condos, patio homes, gemini twin homes (duplexes), and single-family detached homes. Learn more about Sun City homes for sale & lifestyle! Sun City West - A master-planned 55+ retirement community built by the Del Webb Corporation, Sun City West (sister city of Sun City) is just 14 miles northwest of Phoenix. Residents enjoy four recreation centers, nine golf courses, a public and a private country club, and over 106 charter and civic clubs - just to name a few! Homes for sale in Sun City West AZ range anywhere from 700 square feet on up to 3,500 square feet for larger homes - Many of the homes available are built on lake and golf course lots, providing homeowners outstanding views. Learn more about Sun City West AZ homes for sale & Lifestyle! Surprise - Consistently rated as one of the safest cities in the Southwest, residents of Surprise AZ real estate say they love the small town feel. It's no wonder that 9 out of 10 residents say they would recommend Surprise as "a great place to live and raise a family." Located about 45 minutes from downtown Phoenix, Surprise is the second fastest-expanding municipality in the Phoenix metro area. Surprise has a wide range of housing options to choose from. 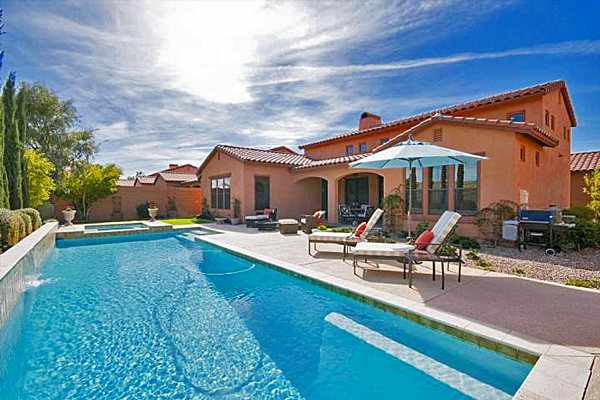 Learn more about Surprise AZ homes for sale & Lifestyle! 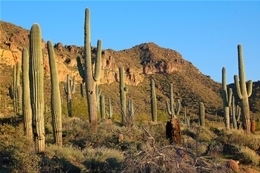 Arizona, and the Phoenix metro area in particular, offers a quality of life that's simply unsurpassed anywhere else! Allow me to offer my expertise and knowledge so that you can make the most educated and informed decisions when it comes to buying a home in the Phoenix metro area. I'm available to answer any questions or concerns you might have about the home buying process, specific neighborhoods, communities, housing options, amenities, HOA fees, property taxes, and more!